Shaheed Zulfiqar Ali Bhutto Institute of Science And Technology Announced Admission For Fall 2014 in it's Islamabad Campus. 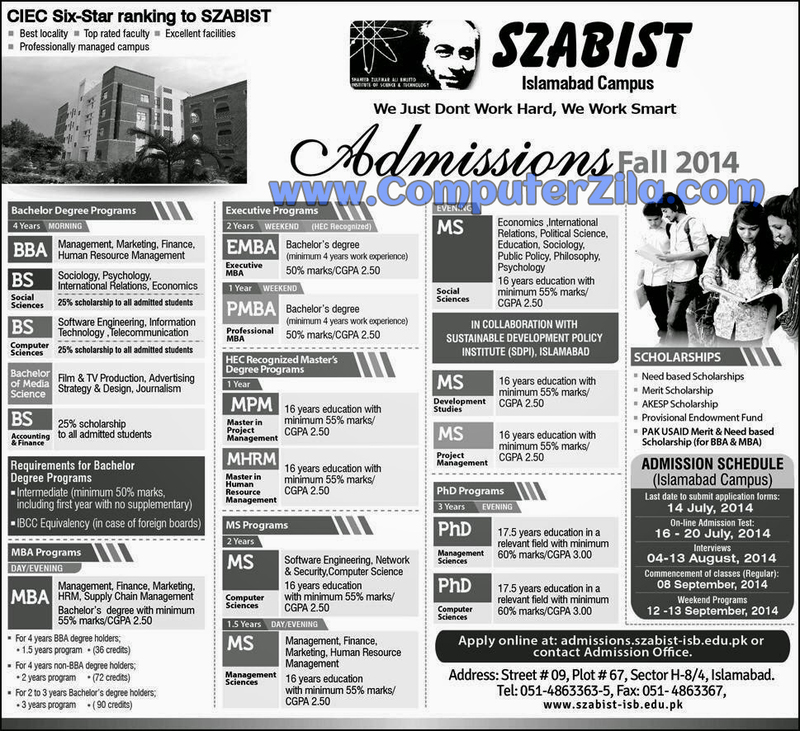 you can join SZABIST for Bachelor, Masters , Phd in Computer Science. BSCS, MSCS, PHD CS.